Semi-ripe cuttings are taken in August and September from new growth that has developed over the spring and summer and just started to harden up (but not yet turned woody). 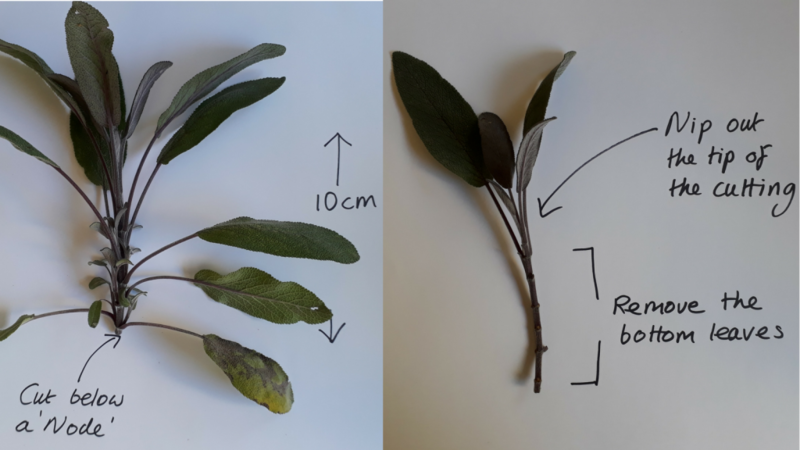 What plants can Semi-ripe Cuttings be taken from? You should look for perennial plants that have reasonably thick stems – at least 3mm in diameter – but not too woody or hard. Semi-ripe means what it says – so it’s half way between soft, floppy stems and hard, woody stems. 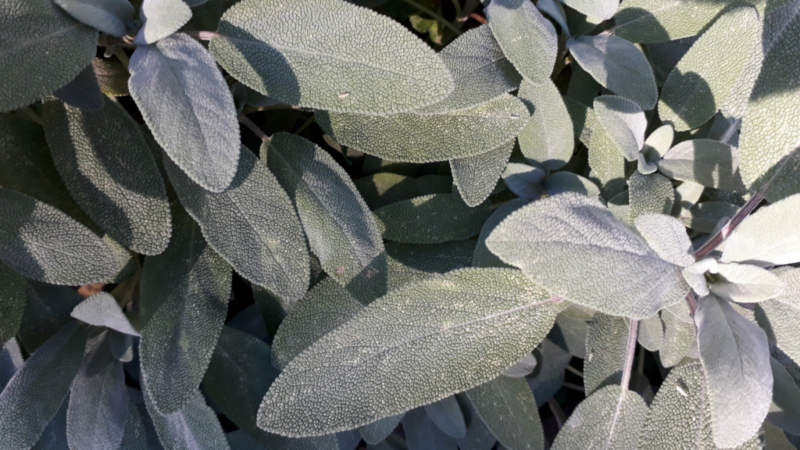 You take them at the end of summer/early autumn because that it usually when new stems from this years growth has started to harden up. 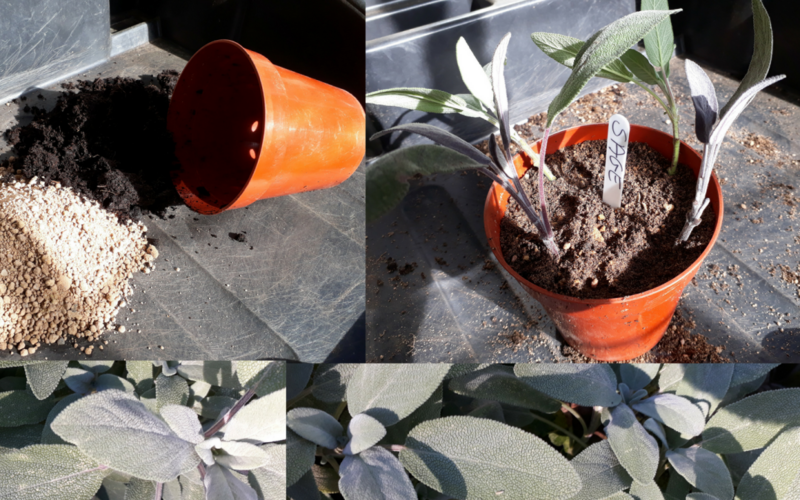 Unfortunately you cannot take cuttings from annual plants (ie cornflowers, sunflowers, marigold, Cosmos) as the stems will die off over winter and not produce roots. You should take these cuttings from the tip of new plant growth where the plant growth hormones are present in the largest quantities. Use sharp, clean secateurs to cut the stem (this reduces infection and damage). Make sure you choose a stem which has leaves but no flowers. Water the pot well and put it in a sheltered place where there is sunlight but not too much heat. Potting up into a mix of sharp sand and compost. You should leave your cuttings to develop roots over the autumn and even through the winter. Just make sure the compost is damp (but not waterlogged – as this will cause the stems to rot). 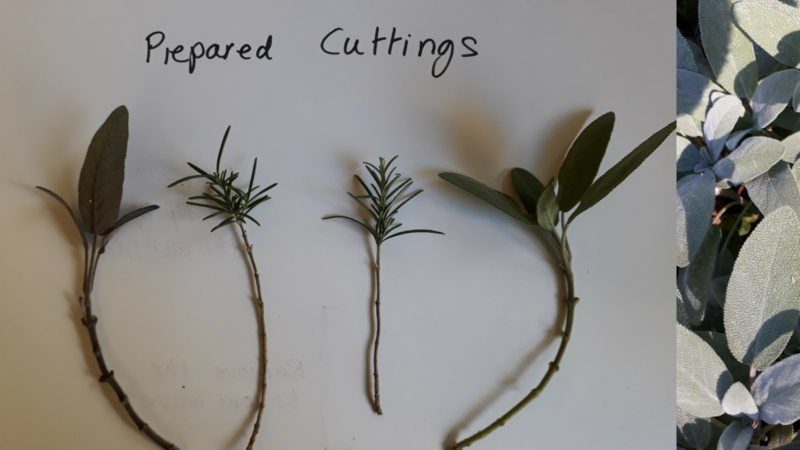 How often you water will depend on how warm the cuttings get. After three weeks have a look under the pot and see whether any roots are coming through the holes. If they are it is a sign that the cuttings have ‘rooted’ and are ready for potting on. Remove any cuttings from the pot it they rot or dry out and leave the health cuttings in place. 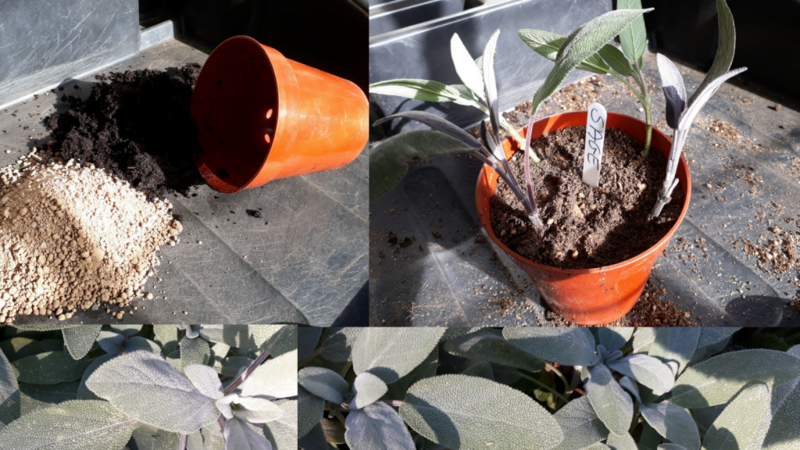 When your cuttings have rooted you should gently tip out the cuttings and compost from the pot and separate out each plant. Fill some pots with compost and plant each rooted cutting into its own pot and water well. Leave the new plants in their pots until their roots start to come through the holes in the bottom of the pot. At this stage the plant is fully formed and ready to be planted out into the ground or a larger container outside. I run workshops on Plant propagation techniques which include hands-on demonstrations on how to take soft-tip, hardwood and semi-ripe cuttings (as well as the chance to practice your seed sowing skills). Information on the next workshop.